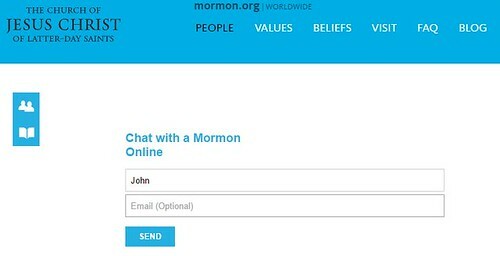 Have you ever chatted with a mormon on their website? Have you ever chatted with a mormon on their website? I just did. I had two simple questions. Where did God come from, and did He have a body of flesh and bone? As a Christian, I know that God has no beginning or end. I know that He is the uncaused causation of all things. I know that He has never not been and will always be. I also know that God the Father is spirit and must be worshipped in spirit. He has no body. The chat started out with two mormons in the chat. One was named Kyle the other was Tyler. As I began asking my questions Kyle became the main responder. Kyle was giving very evasive non-answers to my questions. It was as if the mormon church had no answers for my questions officially. When I explained the eternality of God, Kyle immediately left the chat and a new person named Alec joined. Then Tyler became the main responder to my questions. He paraphrased his partner’s previous noncommittal answers. When I was satisfied that I had received as much of an answer as I was going to get, I ended the conversation. “Thank you for your interest in chatting with a member of The Church of Jesus Christ of Latter-day Saints. Did God always exist as God, or did He at some point in time not exist as He does now? How are you tonight Bob? What brought you onto Mormon.org tonight? That is a great question! To be honest, we don’t know too much about the origin of God. Some leaders of the Church have taught that God progressed from a man to Godhood. What was He before He was God? Like what Kyle said earlier, that’s one topic that we just don’t know about. It’s mostly speculation, no concrete doctrine. I heard from some people that mormons believe he was once a man named Elohim. Is that true? It was kind of garbled on my screen for some reason. What leaders said he was once a man? Is their some source material you can reference that I could look up and read for myself? Joseph Smith and Lorenzo Snow were two. I’ll give you some articles. That would be helpful. I don’t want to misrepresent your beliefs when I encounter others in apologetics or polemics. Thank you. If he was at one point in time a man, then where did that man come from? Here is another one: https://www.lds.org/topics/becoming-like-god?lang=eng. That is an excellent question, that we don’t really comprehend 🙂 The assumption would be that it follows a similar pattern, so he would have a heavenly father as well. There is so much we don’t understand though. So, that begs the question, where did they come from and so on? Exactly, and that is a question I have. Imagining eternity is a concept, we don’t fully understand as mortals. God hasn’t revealed much about it. Tyler stepped out of the room, but will be back shortly. Kyle, I think He did reveal it to us. He is the uncaused causation, or original originator. Logically there has to be an original uncreated creator of all things. The Bible is pretty clear that God is immutable and eternal. Eternity is also understood as an infinite instance or ageless age. He had to go. He was just covering for me while I was gone. We just help out at Mormon.org in time shifts and he just finished and had to leave. So could you answer my question about where did god’s parents come from and where did their parents come from? There is no official church doctrine on that subject. There is mostly speculation and personal opinion on this subject. On the last thing that you wrote. I think that’s an interesting thought. Do you have any other concerns. It seems to me that there would be a being that was the uncaused causation of all things. An eternal God who has always been and never not existed. I have another question I was pondering. God the Father in the first vision was said to have flesh and bone. also why can’t I copy and paste something from earlier in the conversation into the input field? Yes we believe that God has a body of flesh and blood. And I don’t know why you can’t copy and paste. I wouldn’t want to be accused of making straw man arguments, or any other logically fallacious arguments. I hope you found this interesting, and informative. 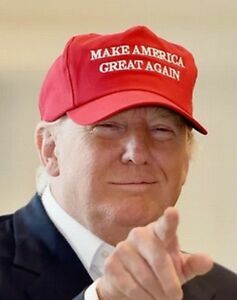 Trump won’t make our country great again. Tocqueville had it right when he said, “In the United States, the sovereign authority is religious…there is no country in the world where the Christian religion retains a greater influence over the souls of men than in America, and there can be no greater proof of its utility and of its conformity to human nature than that its influence is powerfully felt over the most enlightened and free nation of the earth. It is pretty clear what made us great was God. 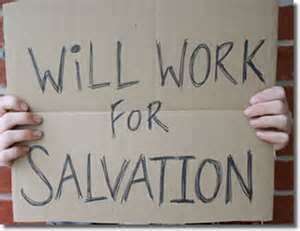 Now we are a wicked nation in rebellion to God. Then, we were a Christian nation devoted to God. Preachers stopped preaching, the salt lost its saltiness, and the light faded away. The cancer grew unimpeded and hidden from sight. Now we are terminal. It will take a miracle from God, not a politician or more government.